First lady Michelle and her lovely daughters arrive in South Africa headed to Johannesburg to visit Nelson Mandela and his family. This is a great summer trip for anyone to take the girls look happy. 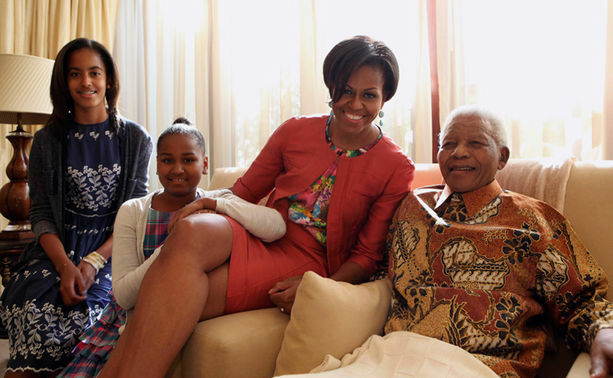 This is a nice pic, I think Nelson is trying not to look at Michelle legs, what do you think?